Small willow saplings gracefully arch above the ground forming a framework for the lodge. The fire tender brings five glowing stones to the center of lodge. A low, deep tone from the Water Drum sounds and the stones are covered with water. This is how an ancient ceremony to heal the mind, body and spirit begins. A Crow sweat lodge. Photo from the Museum of the American Indian. Throughout history, many cultures have used hot stones to heal the body. 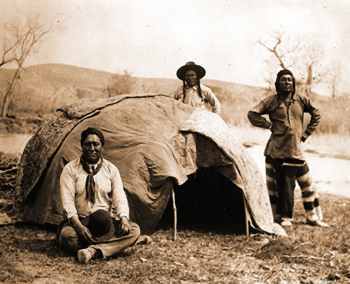 The Native American Sweat Lodge Ceremony described above, is just one of many ancient healing traditions found in recorded history. Today, hot stones are more likely to be found in a health spa than in a sweat lodge but the concept is similar. Hot stone massage is one of the newest trends in massage therapy and is highly sought after. This modern technique uses warmed stones in conjunction with massage therapy to promote relaxation and wellness. Warm stones are placed along the body causing the body to relax. This allows the therapist to access the deepest parts of muscle tissue and release the toxins held there. Many believe that hot stones placed at key points on the body called meridians can also have positive emotional and even spiritual effects. Hot stones placed on the meridians are thought to have positive effects. Hot stone therapy has firm roots in Native American traditions and was pioneered by a woman named Mary D. Nelson in the early 1990’s. Also known as geo-thermal-therapy or LaStone Therapy, stones of both hot and cold are used by specially trained therapists to elicit chemical and emotional responses from the body in ways that are believed to result in healing. Massage therapy has proven to promote relaxation, relieve pain, ease tension and anxiety, stimulate the lymphatic system and cleanse the body of harmful toxins, reduce reoccurring muscle spasms and cramps, improve overall circulation, and produce a calming effect on the mind. Experience the physical and emotional benefits of a hot stone massage and spa for a day. Discover how to spa with a Spa Guide. Explore the spas of Eureka Springs. The following Eureka Springs spas offer hot stone massage: Healing Benefits, New Moon Spa, Serenity Spa, Spa at Grand Central. 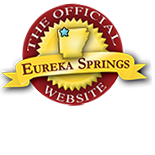 See a complete list of Eureka Springs Spas. Find Great Spa Packages and book your Spa Vacation now! Have you been to a destination spa? Read more about a destination spa experience at a Eureka Springs mountaintop spa resort. This entry was posted on January 9, 2012 by estcblog in History, New Moon Spa, Spa, Things to Do and tagged Arkansas, Eureka Springs, local culture, Winter.